1/4 LB. 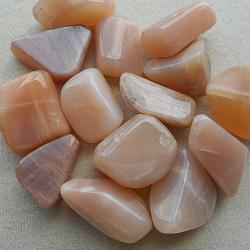 LUMINESCENT PEACH COLORED MOONSTONE. SIZE - MEDIUM. 3/4"-1" SIZE STONES. APPROXIMATELY 12-15 STONES.